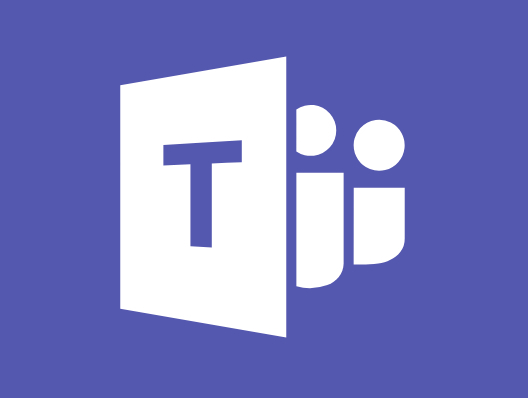 Microsoft Teams will be rolling out to FIS customers in the near future. Before the program is installed, we thought it was worth revisiting the articles that were posted on the website this summer about Teams. The information listed in this article goes over what Teams is, how to access it, how to create a team, the various channel spaces within a team, managing your team, and the apps within Teams. We will be getting into more detail of Teams features, but that list gives you a pretty basic idea of all its capable of doing. As a result of all those functions, it can be overwhelming when viewing and using it for the first time. Let’s start with possibly the most important and easiest part. How to access it. It can be accessed by going to portal.office.com, logging in with your Pitt credentials, and clicking on the Teams icon. This will open up Teams in a browser tab. A desktop version is also available. It can be installed on the machine once the browser-based version of Teams is open by clicking on the “Get app” icon located in the bottom left-hand corner. Once it is installed, the next step towards effectively using it is creating a team. To create a team, select the “Teams” icon located on the left-hand side and click “Join or create a team” at the bottom. Click “Create a team” and choose between Classes, PLCs, Staff Members, and Anyone. The teams you are more than likely going to want to choose are either PLCs or Staff Members. PLCs should be chosen when colleagues need to work with other colleagues. Staff Members should be created by an admin or supervisor for employees that work for them. Enter the name of your team, an optional description, and choose whether the team is public or private. Private means only team owners can add members whereas public means anyone in your organization can join. The last step is to add people to your team and make them either members or owners. At this point, the team you created will appear within the Teams section with a channel titled “General” appearing underneath the name of the team you created. Channels are a way to organize the team you just created. For example, if you are working on a project that involves multiple tasks, you can create various channels associated with the specific tasks of the project. To add a channel to a team, click the ellipses icon directly to the right of the team you created and select “Add Channel.” Enter the channel name and an optional description. There are three different channel spaces contained within the team you created. The spaces are conversations, files, and notebook. They are accessed by clicking on the team you created and selecting a channel (for example, General). Once on the channel, the spaces are at the top of the screen. The channel space we are going to start with is conversations because it is more than likely what you will use the most. Mainly, conversations allows you to live chat with other members of your teams. If you want to address someone specifically with the teams conversations channel, type the @ symbol and a list of the various members of your team will appear. Simply select their name and type in your message. Everyone will be able to see the message but the person you specifically addressed it to will get a notification. If you wanted to address your team members in a more formal way, you can use the formatting option. The formatting option lets you add a subject to your message, change font options like color and size, and mark the message as important. This would be useful for creating an announcement to your team. You can also create announcements and mark them as important. A few other less important but fun options conversations provides is the ability to add stickers, add GIFs, and create memes. Lastly, conversations contains a “Meet Now” icon. Meet now works like a skype meeting. You can record the meetings and save transcripts. The second channel space we are going to discuss is files. Files is pretty self-explanatory. It lets you create or upload documents. If you are creating a document, it will open in the online version of the program you are using which doesn’t have all of the features of the locally installed versions. However, the online versions are more than suitable to use when creating basic word documents, excel spreadsheets, and powerpoint presentations. Once the document is created or uploaded, it is stored in the files channel space. At this point, you can open it in SharePoint and a site will be created. Notebook usage varies based on the team you created. Since part one of this series advised that the team you are most likely going to want to choose is PLCs, the notebook usage example will be PLCs. The PLC Notebook is essentially a digital three-ring binder that works in conjunction with OneNote. OneNote within Teams functions as if the program was installed locally on your computer. You are able to create sections which look like tabs in a binder and pages within those sections. This feature could be very helpful when dealing with large projects that involve multiple meetings. Each meeting could have its own section and the various things discussed can have their own pages. Meetings is a clickable icon that is located in the sidebar on the left-hand side of Teams. It allows you to schedule, edit, join, accept, decline and cancel meetings as well as view your Outlook calendar on a day to day basis. The meeting invites you send will come into an invitee’s Outlook inbox. So it works in conjunction with Outlook. To create a meeting, click the “Schedule a meeting” icon at the bottom of the page. At this point, you will be able to enter the title, location, start time, end time, and details of the meetings. To invite someone to the meeting, start typing their name in the “Invite Someone” field and they will appear in the drop-down below. Once the meeting starts the interface is very similar to Skype for Business. In fact, Teams Meetings will eventually be taking the place for Skype for Business. Also, you are able to record your meetings in Teams. Managing your team provides you with a wide variety of options such as: adding members, changing members role permissions, adding channels, adding a team picture, changing guest role permissions, etc. To manage your team, click on the ellipses icon next to the team you created and select “Manage team” from the available drop-down options. This is where you can add members and change their permissions. To add a member, click the “Add member” icon on the top right-hand side of the page, type in their name and click “Add”. The other options manage teams provides is channels, settings, and apps. Channels allows you to add channels and settings provides you with multiple options mainly involving permissions. Apps will be discussed below. Apps displays a list of programs that you have integrated with Teams. A default set of applications is listed that is entirely organization based but you are able to add apps. To add apps, click the “Go to store” icon located in the top right-hand corner of the page and select from a very large list of programs. Apps can also be added as tabs to your team channels. To add an app as a tab, go to the team channel you created (in previous parts of this series the channel is General) and click the “+” icon at the top of the page. A list of apps will appear. Select the app you want to add. At this point, it will let you name the tab and add any appropriate content. Polly is a bot that allows you to create polls. It can be downloaded through apps and integrated into Teams as its own tab. You can view the various polls you created, view poll results, and see who created polls once Polly is its own tab on the team channel you created. To create a poll, go to the conversations tab on the team channel you created. Once there, click in the “Start a new conversation. Type @ to mention someone” field. Enter @Polly and type in your question and poll options. For example, “Do you like Microsoft Teams? Yes, No” and hit enter. Polly will then create the poll for you. Keep in mind Polly cannot have more than five options as of right now. Chat functions in much the same way as Skype for Business. It allows you to directly chat with members of your team. The member of your team who you are chatting with is the only person who is able to see what is being discussed. Chat also gives you the option to audio and video call. This option is located in the top right-hand corner of the chat you are within. Activity keeps track of what’s going on within Teams. Each new or unchecked activity will be highlighted in bold. When you click on an activity, you will be directly taken to the section of Teams that it occurred in. Activity also contains a filter option. Filter allows you to sort by unread, mentions, replies, following, likes, missed call, voicemail, and apps. T-bot is located within the chat location. It provides answers to questions about using Teams. Search is just like it sounds. It will allow you to search for anything that was mentioned within Teams. It is located at the top of the application at all times. For more information or to schedule an in-person consultation about Teams, please submit a help ticket through the FIS portal.